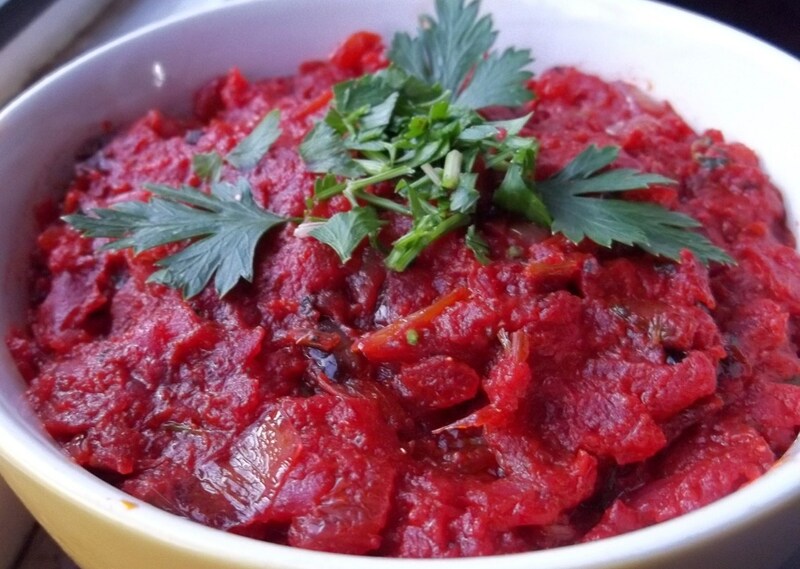 Served hot or cold, fried beetroot with tomatoes and spices is a popular appetizer in Georgia. Ingredients: 1 kilo of beetroot, 2 tomatoes, 2 onions, 20 grams of fresh green coriander, 3 cloves of garlic, 1 tsp of blue fenugreek, 1 tsp of dried coriander, 1 tsp of dried red pepper and salt (amount dependent upon personal preference). 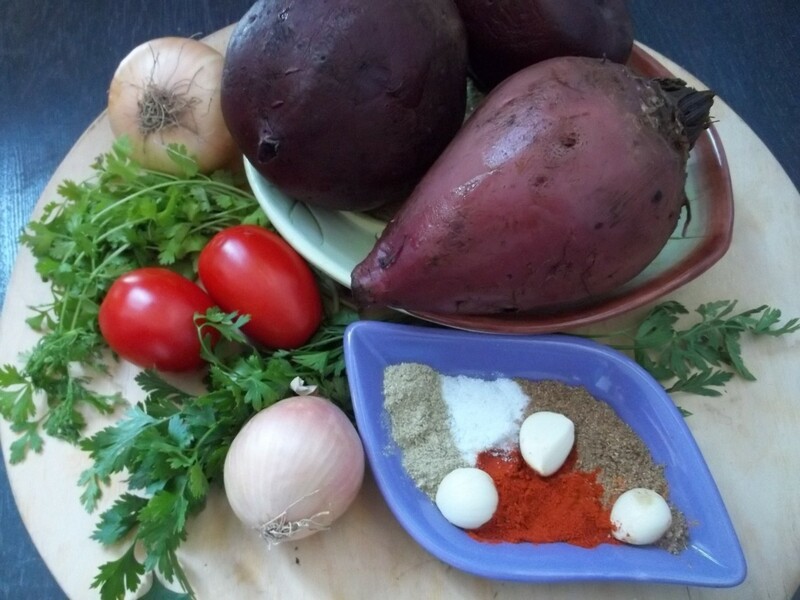 Preparation: Thoroughly wash the beetroot and boil until soft (up to one hour, depending on size). 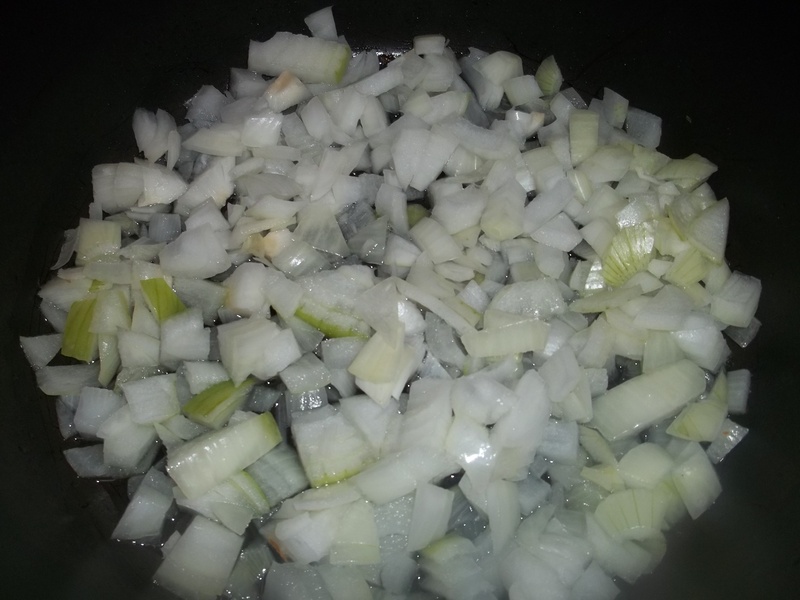 Whilst the beetroot is being boiled, chop the onions and add to a pan of hot oil. Cover and fry for 7-8 minutes on a medium heat. 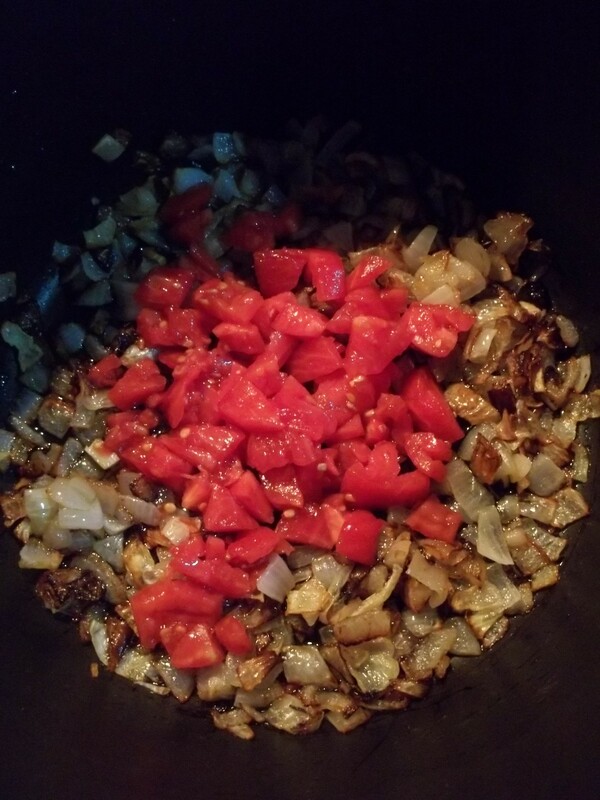 Chop the tomatoes and add to the pan and continue to fry for 4-5 minutes. Once the beetroot has been boiled, remove the skin and grate the beetroot with a cheese grater. 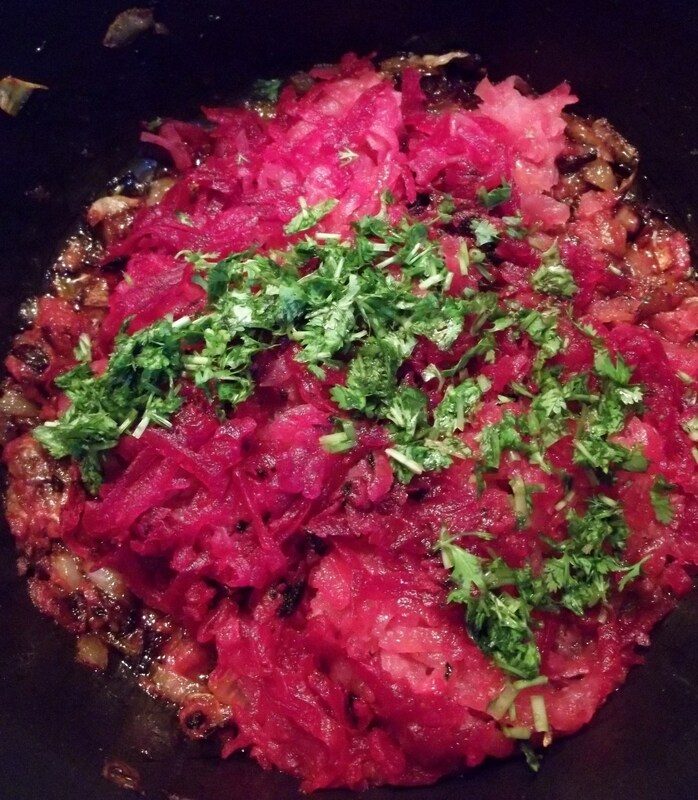 Add the grated, boiled beetroot and chopped fresh coriander to the pan. Stir thoroughly and continue to fry for 5-6 minutes. 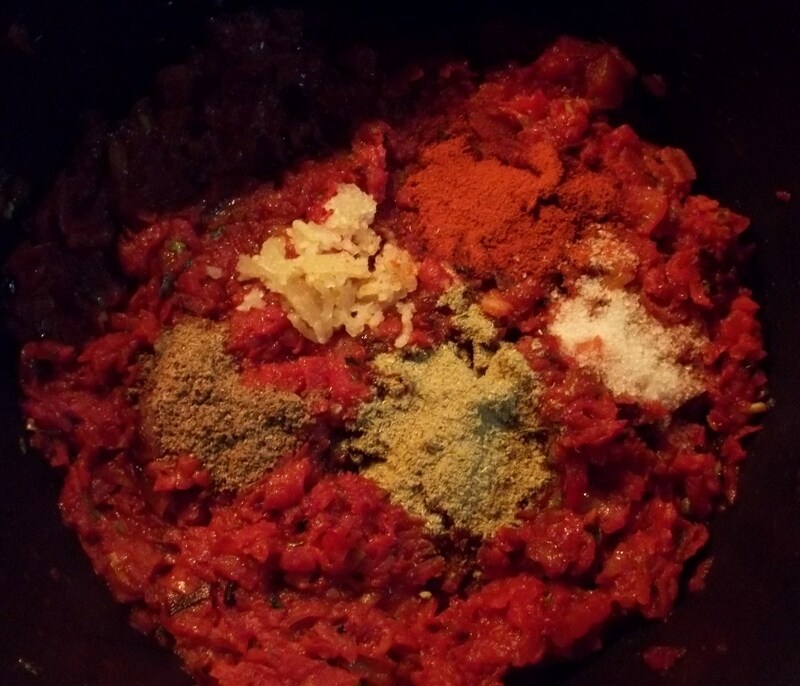 Crush the garlic and add, together with the spices, to the pan. Stir thoroughly and continue to cook for 4-5 minutes. Serving: Serve hot. We garnished ours with fresh parsley. It is also delicious cold! 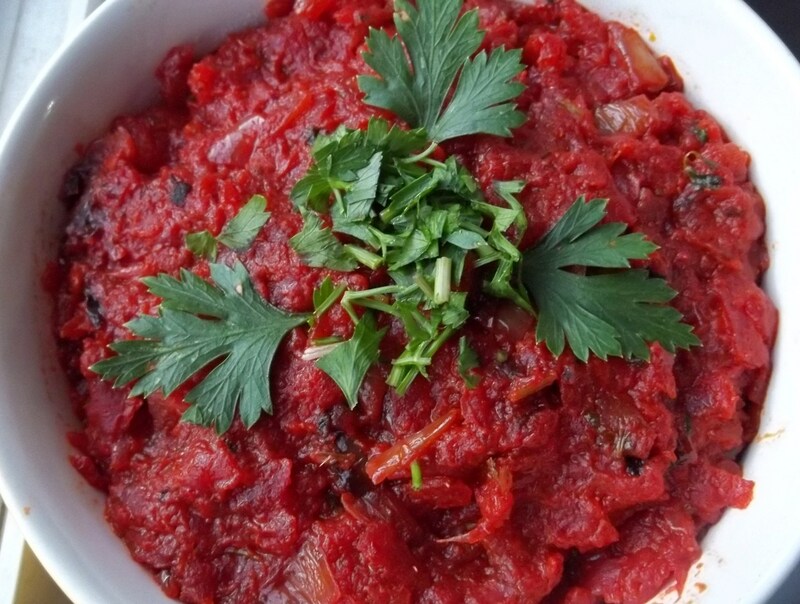 Enjoy your fried beetroot with tomatoes and spices!